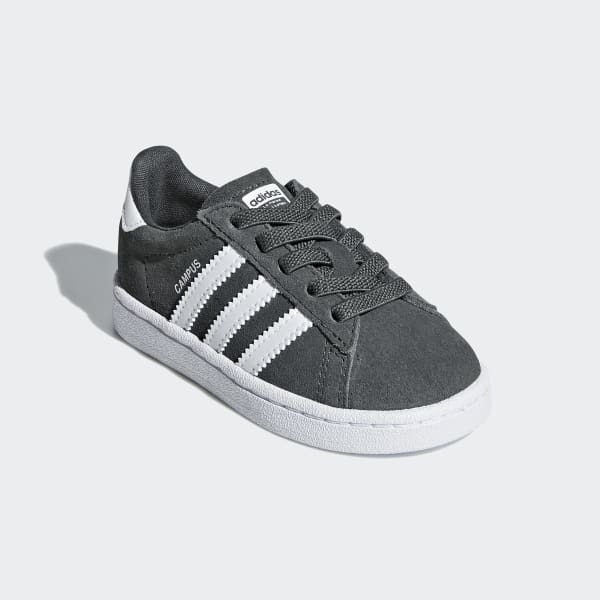 The low top B-ball style of the Campus, updated for infants. The Campus dates back to 1980, when hoops stars laced it up to hustle on the hardwood. 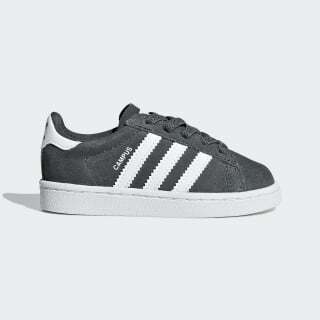 This version of the iconic shoes is made for infants. It offers a fresh take on the classic Campus design with a streamlined rubber cupsole and a reinforced toe cap. Elastic laces help with speedy on and off.